LANCASTER, Pa. — Hemp could once again grow proudly in Lancaster County’s fertile fields, if federal legislation legalizing the crop — which was outlawed in 1937 because of its similarity to marijuana — passes this year. “We want to see people from all over Pennsylvania planting hemp, doing trials and testing varieties to see what grows best in different parts of the state,” Erica McBride, executive director of both the Pennsylvania Hemp Industry Council and the National Hemp Association, said at the Pennsylvania Farm Show last week. “Hemp is going to make a lot of products better and more sustainable,” she said. It can be used in everything from rope and fiber to food, building materials and even a form of fiberglass used by European auto manufacturers, she said. It’s also a good alternative for farmers shying away from tobacco, she said. Easy to plant and maintain, it’s also an effective riparian buffer, allowing farmers to plant money crops along waterways and still protect the Chesapeake Bay watershed. That made the Farm Show display — which included several potted hemp plants, looking remarkably similar to marijuana — very popular. Hemp and marijuana are both types of cannabis. However, marijuana contains high levels of THC, the compound that causes its psychoactive effect. Hemp contains very little of the compound. William Penn encouraged colonists to plant the useful crop, and the first settlers of what is now Lancaster County began growing it around 1710, according to LNP archives. Pennsylvania allowed hemp to be grown on a small scale last year, and the Legislature expanded the law for 2018 to allow 5,000 acres of the tall, sturdy plant to be grown throughout the state. Congress is expected to pass H.R. 3530, aka the Industrial Hemp Farming Act of 2017, this year, McBride said — decriminalizing hemp nationwide and opening the crop up for unregulated growth. In fact, she said, developers expect to break ground soon on an industrial facility in the Lehigh Valley that can process up to 14,000 acres of raw hemp for commercial use each year. They’re developing manufacturing contracts so hemp growers have guaranteed markets before planting, she said. McBride foresees a broad market opening up, ranging from biofuel to dietary supplements. Deputy Secretary of Agriculture Fred Strathmeyer is optimistic — with reservations. 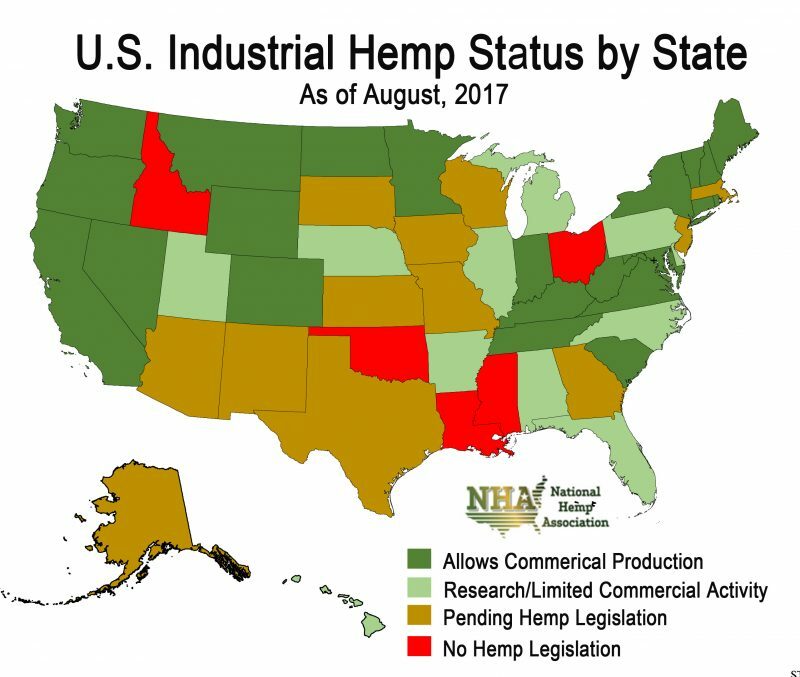 Until the government fully legalizes hemp, he said, few manufacturers will commit to the product. And until the manufacturers are in, he said, farmers won’t plant the seed. The reintroduction of hemp into the marketplace “is not going to happen overnight,” Strathmeyer added. “It’s not a silver bullet. People are just getting used to the idea.